7 Benefits to Intermittent Fasting: Is it Right for You? Home > Uncategorized > 7 Benefits to Intermittent Fasting: Is it Right for You? If you’ve been keeping up on the latest innovations for weight loss and overall health, then you have likely heard of intermittent fasting. Essentially, it’s a way of eating that involves cycling between periods of time in which you’re eating and periods of time in which you’re fasting. There are numerous studies that have shown it can have significant benefits for the human brain and body. At Rancho Wellness, we encourage everyone interested in improving their health to meet with a medical professional before starting anything new. We can provide you with a full, comprehensive checkup to ensure that you’re using the best method for you. Depending on your needs, we may be able to offer medical supplements that can help, along with encouragement, support, and anything else you need. Read on to learn about seven of the benefits to this fasting option and then reach out to us at 909-483-7800 to set up your appointment. We look forward to helping you lead your healthiest, happiest life. There are a number of things that happen anytime you go a certain amount of time without eating. Your blood insulin levels drop, which encourages fat burning, your body increases cellular repair throughout your body, the amount of growth hormone can increase by as much as five percent, which encourages fat burning and muscle gain, changes occurs in several genes that are tied to longevity. Intermittent fasting results in fewer calories eaten. It’s also been shown to slightly boost the metabolism. When you combine those two factors, you get a very effective way to lose pounds and belly fat. While these results have only been proven for men so far, the results are startling. 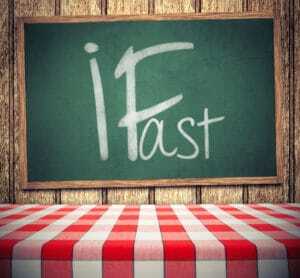 Intermittent fasting has been shown to lower insulin resistance at the same time it lowers blood sugar levels. This is great news for people with diabetes. Numerous studies have shown that this type of fasting can have the effect of lower oxidative damage as well as inflammation. This can help lower the chances of getting a number of diseases and medical conditions, including cardiovascular disease. It may also have benefits to reduce the signs of aging. Intermittent fasting has been shown to trigger a specific metabolic pathway, otherwise known as autophagy. It can help get rid of waste material from cells, which allows them to repair themselves faster. While the jury is still out on how this can affect humans, studies have shown that animals have a lower chance of developing a number of different cancer types if they engage in intermittent fasting. Fasting can help encourage new neurons to grow in the brain. Studies have also shown that intermittent fasting can help prevent the brain from being damaged.